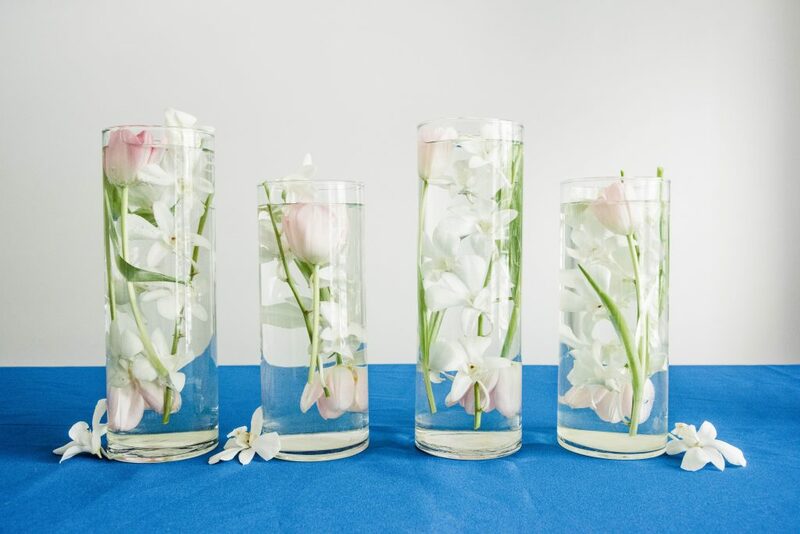 These DIY submerged centerpieces are simple to create and add a wow factor to your events or gatherings. Check out the easy how-to below! Lately, I’ve been obsessed with having fresh flowers around my house. I tend to find myself picking up fresh bouquets from the grocery store and finding new places to put them all the time. And the same goes for events and get-togethers. I always love having fresh bouquets and arrangements around for everything from a simple girl’s night to an elegant dinner party. 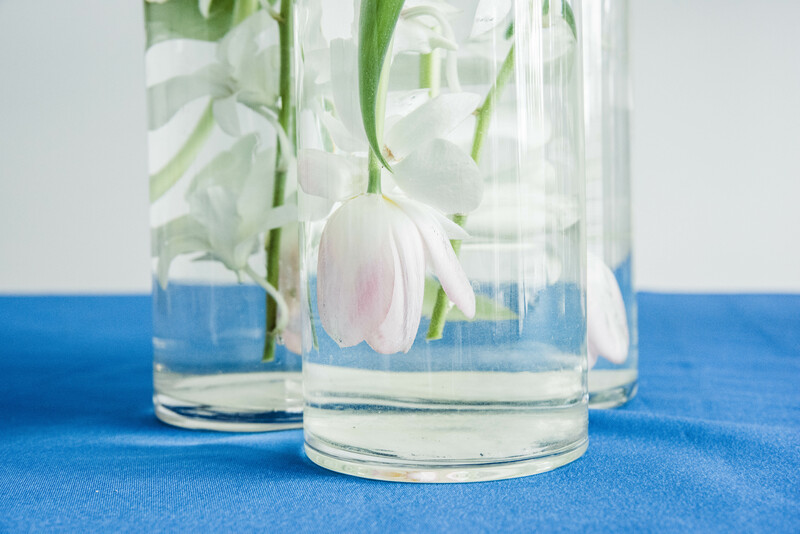 If you love the look of fresh flowers, but are a little intimidated to try out your own arrangements, these DIY submerged centerpieces are going to be right up your alley! Sometimes, the thought of putting together your own floral arrangement or floral centerpiece can be a bit overwhelming and you might not exactly know where to start, but I think that I can confidently go into today’s post and say that this will be the easiest floral centerpiece you guys will ever make. You can’t really mess this up and the end result is simple, yet stunning. 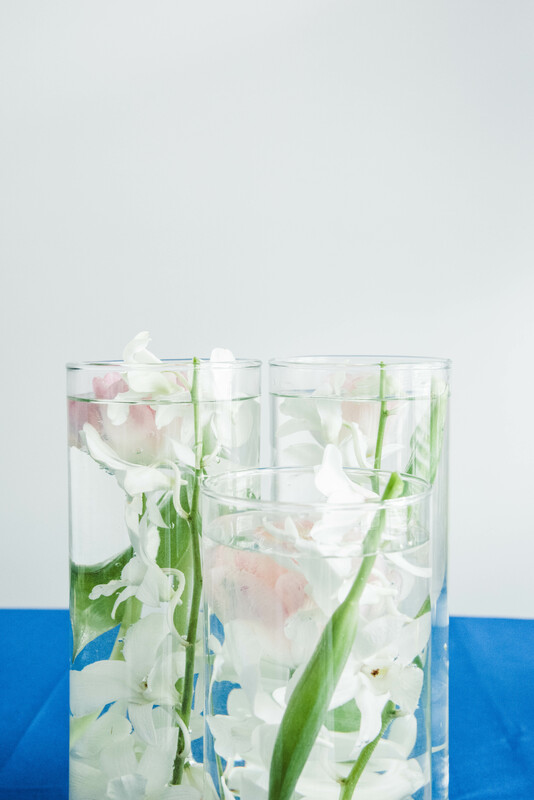 These DIY submerged centerpieces are one of my fave (and easy!) ways to dress up a table!